The GBTC Sweden was established in 1976 by Ac. Dhrtibodhananda Avt. who was replaced by Ac. 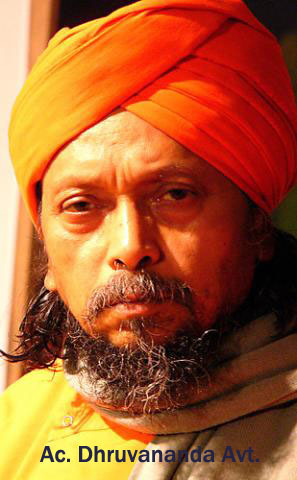 Dhruvananda Avt. in 1978. The training center caters to both sisters and brothers. The residential complex of brothers and sisters are located separately and both BTC (Brothers Training Center) and STC (Sisters Training Center) follow a rigorous routine of long Sadhana, Kiirtan, Asanas, Kaoshiki, Tandava and other activities of all round self-development. Upon the completion of training, the brothers and sisters will be declared as Acaryas by the Acarya Board of Ananda Marga Pracaraka Samgha (AMPS) Central. AMPS Central Camp Office is in Ranchi, India. Acaryas shall then be officially posted in one of the seven sectors demarcated by AMPS Central. There after, Acaryas shall perfomed their structural duties as per the AMPS system in strict accordance with thier Tour Programs duly signed by their Higher AMPS Structural Authorities. and Ac. Harikrpananda Avt. , the Assistant Shraman.